The international break is a rare gap in the hectic Premier League schedule, with the the focus turning to international football. Matched betting during the international break is still possible. Here are some good reloads from horse racing, football, multiples, casino offers and accumulators. Saturday 13 October 2018 ITV racing is from Newmarket and York. Betfair Exchange: Odds On promotion. Place a back bet (up to £10) at minimum odds of 4.00, get a cash refund if your horse trades at odds of 1.99 or lower and loses. Betfred & Totesport: Refund as a free bet (up to £10) if your horse is beaten by a neck or less. Available on one selected meeting each day. Bruce Betting: Refund as a free bet if 2nd to SP favourite (up go £25). Available on one selected meeting per day. Quinnbet: 2nd to SP favourite (up to £10). William Hill: William Hill 2 clear offer. 15% boost on winnings as a free bet to £100. Most of these offers apply to pre-match bets only and you may need to opt-in before placing qualifying bets. 10bet: Using a mobile device, Opt-in to the offer and enable ‘Create A Bet’. Stake £10 on Create A Bet at minimum odds of 4/1 (5.00), get a £10 free bet refund if Harry Kane scores first for England versus Croatia. 888sport: Opt-in, then place a £10 bet at minimum odds of 4/1 (5.00). Get a £5 free bet if your bet wins. Can claim one free bet per day. Betfred: DDHH on selected matches. Betway: Bet £5 Betyourway get £5 free bet. Bwin: Opt-in, then place a £10 4-fold ACCA (odds of 1.40+ per leg) to get a £5 free bet. Treat this offer as an advantage play. ComeOn: Bet £10 on Yourbet on Croatia-England, get a £5 free bet. Treat this offer as an advantage play. Coral: Opt-in, Stake £10 on England to win versus Croatia. Get a £5 free bet for each goals England score. Guts Sports: Bet 5 x £40 at minimum odds of 6/5 (2.20) on UEFA Nations League football to get £40 cash. Ladbrokes: Opt-in first. Refund as a free bet up to £10 for Croatia-England on losing first/last/anytime scorer and #GetAPrice bets. Paddy Power: Refund as a free bet (up to £10) on losing first/last/anytime scorer and WhatOddsPaddy bets if Harry Kane scores for England agaianst Croatia. Sportpesa: Opt-in, then stake £100 on the 1×2 market (minimum odds 2.00) of Croatia-England, get a £25 free bet if your qualifying bet loses. Sportpesa: Refund as a free bet (£5-25) if red card or 0-0 on televised UEFA Nations League matches 11-13 October 2018. Tonybet: Place a £20 bet on the 1×2 market of selected matches (check the ‘promotions’ page). Get a refund as a free bet (£20) if the match finishes 0-0. Betuk: DAILY PRICE BOOSTS. Rugby union: Bath and Exeter both to win @ 7/5 (2.40). ComeOn: ODDS BOOSTS. Austria, Japan and Belgium all to win @ 5/2 (3.50). Since I’m gubbed at lots of sportsbooks, backing at Smarkets exchange is an EV+ strategy if the back odds are higher than the lay odds multiplied together . Smarkets: Football>Accumulators: a). Austria, Belarus and Belgium @6.00. b). Coventry, Accrington and Carlisle @ 9.20. c). Lincoln, Accrington and Salford @5.90. BGO: Daily free tournaments. Deposit £10 and gain entry to free tournaments. Best to wager your deposit once on Golden Tour for account health. Bwin: Daily free spin on ‘Bspin’ offer with a chance to win casino free spins, cash or a free bet. Daily until 21 October 2018. Gala Bingo: Daily free spin trick or treat. Opt-in and click ‘Play Now’ for a daily chance to win a prize (08-31 October 2018). Mecca Bingo: Game of The Week. Betfair Arcade: Bet £20 on any Cleopatra selection slot, get a £5 bonus with x1 WR. Coral: Daily cash drop (each day from 08-14 October 2018). Stake £20 on Forbidden Dragons, get a cash drop of £2-50. William Hill Games: Daily offers of stake £10, get a bonus usually with 30 times WR and a winnings cap. These can still be EV+ though. Accumulator insurance is generally available once per day at online bookies. Check the minimum odds per selection and the eligible competitions. I prefer no lay ACCAS. Fire and forget is preferable to remembering to sequentially lay ACCAs. Betvictor: UEFA Nations League, 5-fold, minimum total odds 4/1 (5.00), to £10. Bruce Betting: UEFA Nations League, 5-fold, minimum odds per leg 1.33. To £25. Ladbrokes: All football, 5-fold, minimum odds per leg 1.10 (total odds 4.00), to £10. 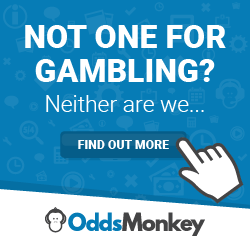 Betting shops – Betfred, Ladbrokes. It may be worth checking out ACCA insurance at Bwin, Boylesports, and Dafabet. Betfair Sports Pools. Freeplay token on football correct score pick 6. Matchbook Colossus. Freeplay token on Saturday 7 horse racing.